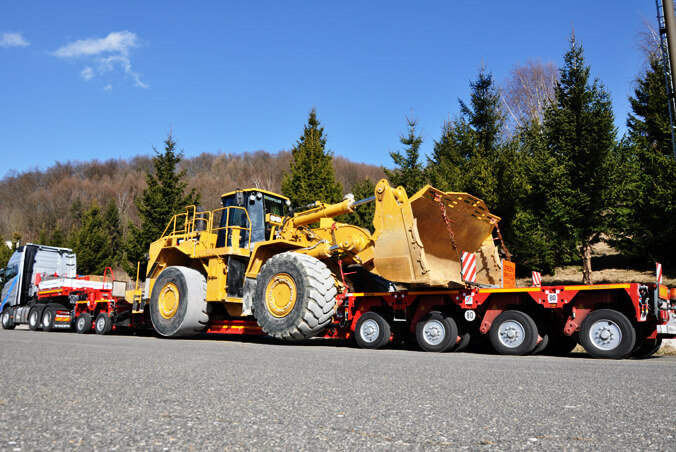 The name speaks for itself here: the Croatian company Zagrebacki transporti has proven that when using the UltralightCombi from SCHEUERLE, the transportation of an excavator is absolutely no problem whatsoever. The modular platform trailer can be combined with other models of the Combi series and scores, in particular, with the ratio between payload and dead weight which is especially low. The vehicle can be equipped with all accessories such as different decks or a wind tower adapter.